Only those with oily skin understand the struggles of finding that perfect moisturizer that is non-greasy. 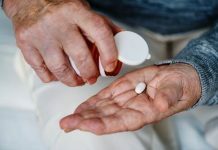 My skin is more on the combination side, so I always have a hard time picking the perfect moisturizer with water-based formula and hydrating natural ingredients. 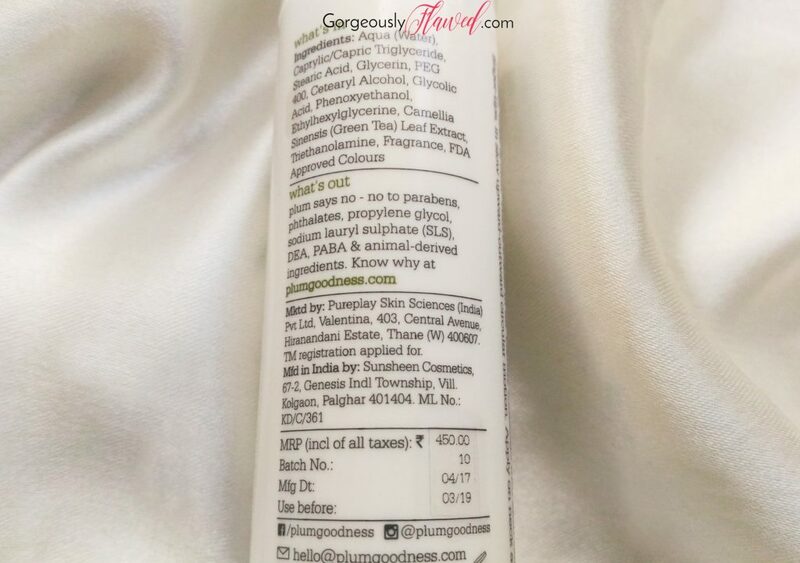 While I was on a hunt for an effective oil free moisturizer in India which is natural and paraben free, I came across the Plum Green Tea Mattifying Moisturizer and instantly got impressed by its ingredients list. 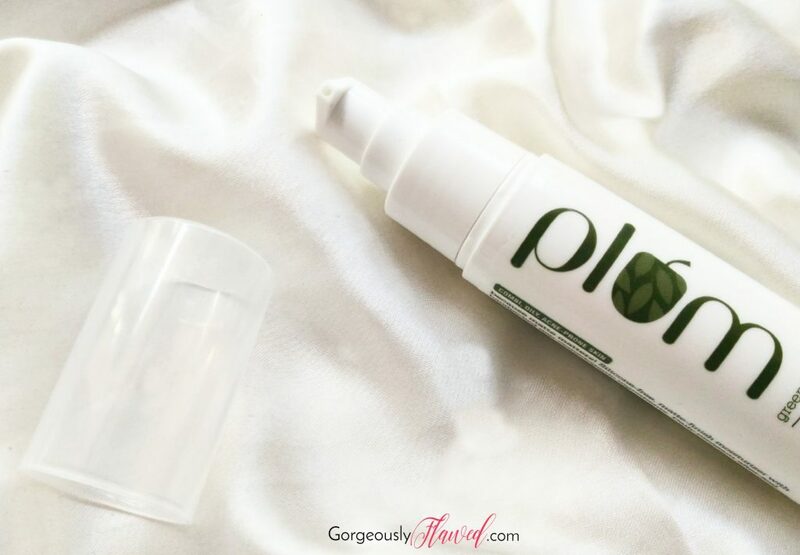 Plum Goodness is a quite famous, vegan and cruelty free skincare brand in India which is well known for their natural kajals ever since they were launched. 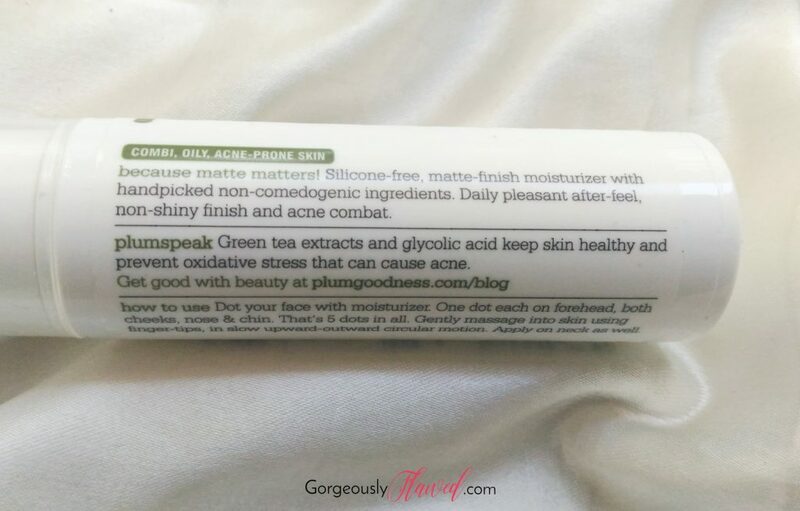 The Plum Green Tea Mattifying Moisturizer was the first product that I tried from this brand and by the end of this post, you will get to know if this product left a positive impression on me and whether or not I would recommend you guys to try it. So keep on reading the Plum Green Tea Mattifying Moisturizer review! Silicone-free, matte-finish moisturizer with hand-picked non-comedogenic ingredients. Daily pleasant after-feel, non-shiny finish and acne combat. This is just the light moisturizer that oily skin types had been waiting for. Multi-dimensional care that includes: controlled hydration, non-shiny matte finish, acne (pimples) combat, and a fresh, clear appearance. Let’s start the review by talking about the packaging of this moisturizer! Honestly, I love the packaging of all Plum Goodness products. For their Green Tea Mattifying Moisturizer, Plum has kept a very convenient, pump-bottle packaging. The bottle is light-weight and travel-friendly. Its pump does not lock, but you get a transparent lid to secure it. I purchased this moisturizer back in the month of May when the summer heat was in a full force. I really dislike using any type of moisturizer during summer and monsoon season as I feel irritated when the humidity makes my skin oily and all-sweaty. Earlier, I have tried two other popular oil free moisturizers – Himalaya Oil Free Radiance Gel Cream and Clean & Clear Oil Free Moisturizer. Both of them performed quite well for my skin, but I wanted to try something which is natural, chemical free and more suitable for my skin – that is what made me buy this Plum Green Tea Mattifying Moisturizer. As this moisturizer is oil free and water-based, it feels very lightweight. Its consistency is somewhere between medium and thin. It is neither too runny, nor too thick. The formula is so light that it gets absorbed into my skin as soon as I massage it in. The moisturizer feels immensely hydrating and soothing on the skin. Furthermore, Its subtle fragrance of green tea is also soothing and refreshing. The main ingredient of the moisturizer – green tea, is scientifically proven in multiple studies conducted in the field of dermatology to be beneficial against various skin diseases. Green tea’s antioxidant and anti-inflammatory properties that come from polyphenolic compounds present in it have significant positive impact on the skin. The Plum Green Tea Mattifying Moisturizer keeps my skin oil free for up to 3-4 hours, after that, I have noticed that my nose area starts to look a bit oily. I think it is great that a product like this can keep my skin oil free for 4 hours on average, considering the fact that I sweat A LOT! I will give this product a YAY for staying true to its claims of being a mattifying moisturizer. People with normal/combination/oily skin may have a better experience with this moisturizer than I did. But people who have extremely oily or sweaty skin like me may feel like blotting away the oil/sweat off their face after about 4 hours of application. This moisturizer also claims that it is non-comedogenic so it can combat acne and it is suitable for acne prone skin. Unfortunately, I have not noticed any changes/improvement in my acne problem ever since I have started to use it. It is non-comedogenic for sure, but I face acne problem mainly due to hormonal imbalance/poor diet and not due to clogged pores. If you get acne on your face because of clogged facial pores or excessive sebum buildup on your skin, then this green tea moisturizer might help you to prevent acne. In my case, it was not *that* helpful because a moisturizer alone cannot help me to solve my acne issues as they are hormonal/diet-induced. I might have to try their green tea clear face mask to tackle it! It is a 100% vegan and cruelty-free face moisturizer in India. Contains green tea extracts that have anti-inflammatory properties and antioxidants. Non-comedogenic, i.e., it does not contain any ingredient which may clog your facial pores and lead to acne. Comes in a simple, convenient and hygienic packaging which is also travel-friendly. Hydrates the skin well and keeps it oil free for up to 4 hours. Will suit normal, combination and oily skin well. Does not make the skin look shiny. Can be used as a makeup primer. Has a subtle fragrance of green tea which does not linger on the skin for long, but I love it till the time it stays there. Gives a cooling sensation to the skin in the initial few minutes. Not very helpful in reducing acne. What are your favourite products from Plum Goodness? Is there any specific product from this brand which you would like me to review? Let me know in the comments section below! This definitely sounds like an amazing moisturizer. And it is mattifying.. yay for people like me with oily skin. I love this product and have been using it for one year. Yes, as you said that it does not show an effect on acne. That’s true. But other than that moisturizing is so good.